LAKE MILLS, Wis. – March 2018 – Kapro Tools offers the 985D DIGIMAN professional magnetic digital level, as well as the 985D-L DIGIMAN, which features a powerful laser pointer for larger layout and alignment jobs. The 985D DIGIMAN series is available in 10-inch, 24-inch and 48-inch models. The rainproof and dust-resistant 985D DIGIMAN offers break-proof solid acrylic vials and Plumb Site Dual-View technology for improved accuracy. The 985D also has Ergo Grip™ handles and bi-component shockproof end caps for comfort and protection from knocks and falls. 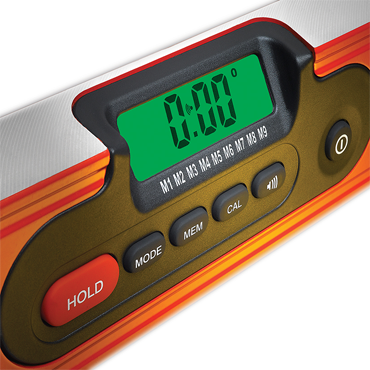 Large silicon buttons make the 985D easy to use in wet conditions or while wearing gloves. · 45-degree tilted LCD display with backlight for optimal no-glare read at any angle. · 180-degree readout display that inverts when the level is upside-down. · Electronic Recalibration function and “False Zero” slope measurements for proper water drainage and ADA compliance. · HOLD mode for manually locking measurements in position for verification. · Degree, percentage and pitch. · Memory recall that stores up to nine measurements. · Buzzer at 0, 45 and 90 degrees. 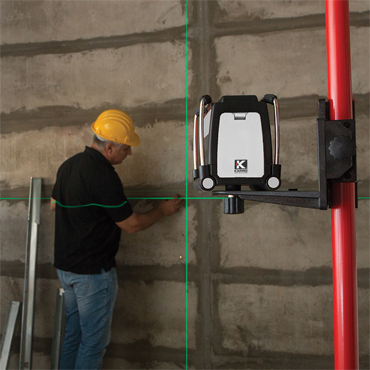 The 985D-L DIGIMAN is equipped with a tripod-ready laser pointer that has a range of up to 165 feet. 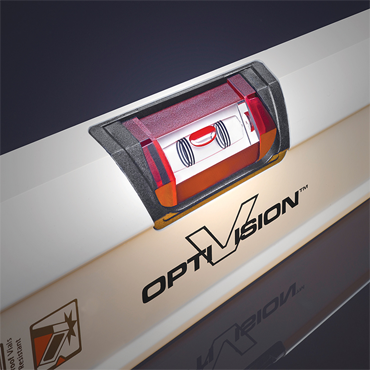 The laser pointer can be operated with just the push of a button and is highly visible at long distances, making it ideal for sloped applications such as stair and ramp layouts or leveling fixtures in relation to distant points. Kapro Tools Inc. is a leading manufacturer and developer of innovative hand tools for the professional market. 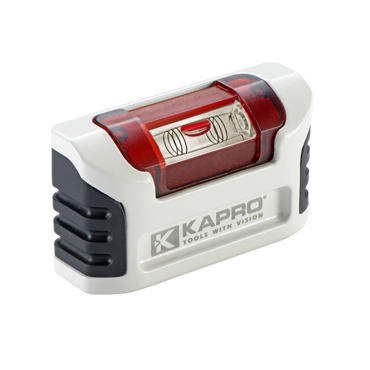 For more than 30 years, Kapro has made the finest quality spirit levels, laser levels, layout tools, marking and measuring tools in the industry. Kapro Industries is headquartered in Kadarim, Israel. The company’s U.S. subsidiary, Kapro Tools Inc., is located in Lake Mills, Wisconsin. Kapro owns and operates state-of-the-art facilities in Israel, the United States and China. Its manufacturing facilities are certified compliant with ISO standards 9001, 14001 and SA8000. 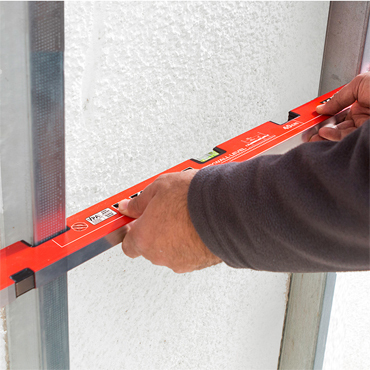 All of Kapro's professional products are certified by VPA, the leading German certification organization. To learn more, visit kapro.com.